The USAIHC offers Harp Start presentations for grade levels K-5. These presentations are tailored to meet your school and classroom needs. Each presentation features a guest artist who presents about the harp and performs a variety of pieces. When a school schedules its first Harp Start presentation, USAIHC offers a complimentary DVD of WTIU’s Emmy award winning PBS documentary Harp Dreams which captures young musicians throughout the process of preparing to be contestants and actually participating in the 2007 Competition in Bloomington. It also shows footage of a harp being assembled at the Lyon & Healy factory, and can be shown to supplement the in-person Harp Start presentation. Harp Start presentations are engaging and interactive, featuring opportunities for children to review what they learn and ask questions. At the end of every presentation, students are invited to come up and play the harp! We are proud to expose children to the harp at these presentations, often for the first time. The memories and inspiration shared last a lifetime. 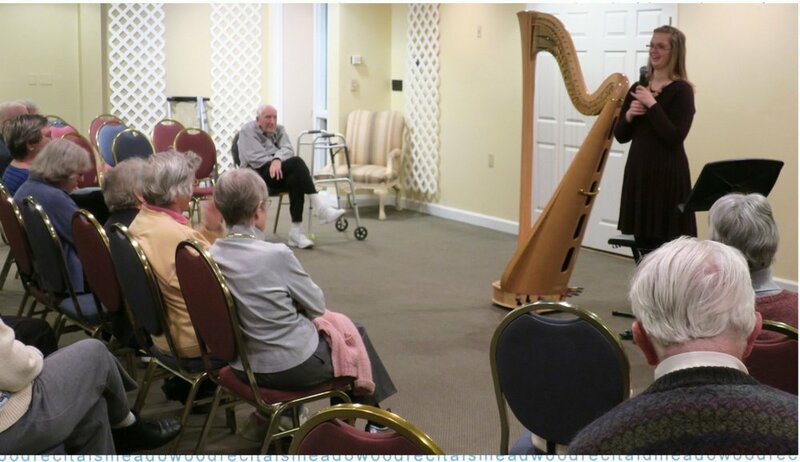 Harp Start presentations are also available for senior living communities and other community organizations including libraries and church groups. These presentations feature a guest artist who presents about the harp and performs a variety of pieces, and also a facilitator who shares about the USA International Harp Competition. These presentations provide the opportunity for the community to become more involved with the USAIHC and learn about what we are doing for the arts community of Bloomington. The USAIHC also offers Harp Start presentations for your community group or rotary club. These are usually 20-30 minutes in length (depending on your needs). A guest artist will perform various works for the harp, and a facilitator provides opportunities to learn about the Competition and how to become involved.